Paul Hollywood shot to fame with his role as a judge on The Great British Bake Off. The son of a baker, Paul spent six years in Cyprus working at one of top hotels before becoming Head Baker at exclusive hotels in the UK, including Cliveden and the Dorchester. He went on to launch The Paul Hollywood Artisan Bread Company, which now supplies Waitrose, among others. The author of the bestselling How to Bake, Paul Hollywood's Bread, Paul Hollywood's Pies & Puds and Paul Hollywood's British Baking, Paul makes regular contributions to national press, tours nationwide with sellout cookery demonstrations, and works extensively with the Flour Advisory Board. He lives in Kent with his wife and son. 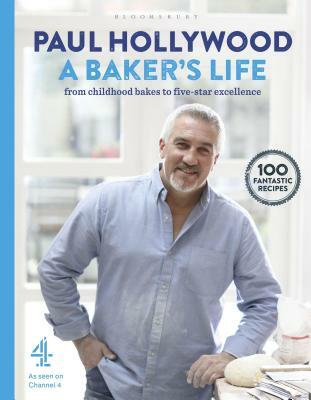 "My inner Top Chef relished taking in The Great British Bake Off cohost Paul Hollywood's book, A Baker's Life." - Vogue, "The Best Books of 2017"